Chennai, April 8 (IANS) Actress Nayanthara, who was last seen on-screen playing a double role in horror-thriller "Airaa", has been signed as the leading lady opposite superstar Rajinikanth in his next yet-untitled film with filmmaker A.R. Murugadoss. On Monday, Rajinikanth's publicist Riaz Ahmed took to Twitter to confirm Nayanthara is on board. He also denied other casting reports that have been doing the rounds. "The rumours being speculated about the cast of 'Thalaivar 167' is not authentic. As of now, only Nayanthara has been roped in the film. 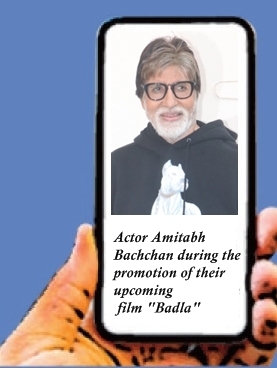 Kindly do not spread the news until you get an official press release about the entire confirmed cast," he tweeted. After working with Rajinikanth in "Chandramukhi" and also briefly in "Kuselan", this is the third time Nayanthara will be teaming up with the 68-year-old star. Last seen on-screen playing a hostel warden with a violent past in "Petta", Rajinikanth is believed to be playing a police officer in this project. Popular lensman Santosh Sivan will crank the camera while Anirudh Ravichander will compose the music. The rest of the cast and crew is yet to be revealed. The industry grapevine is that the project goes on the floors later this week in Mumbai.